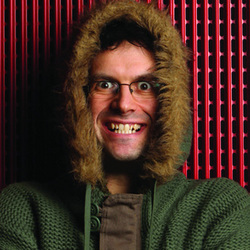 Comedian, actor & satirist Marcus Brigstocke, is a hugely popular performer, winning the BBC New Comedian of the Year in 1996. He has since gone on to have a very successful career, and can be found on the top TV comedy shows; QI, Have I Got News For You, Argumental and Live at the Apollo to name a few. He is a regular on Radio 4 with his own comedy show and appearing on many regular panel shows. He has also written extensively for others. This new show, fresh from the Edinburgh Festival promises to be as sharply observant and quick witted as ever. Buy your tickets quickly as this show is sure to sell out.